China's smartphone maker Huawei is going to launch its next smartphone Huawei Y9 2019 in India. Even before the launch, the company has begun teasing its smartphone on Amazon. 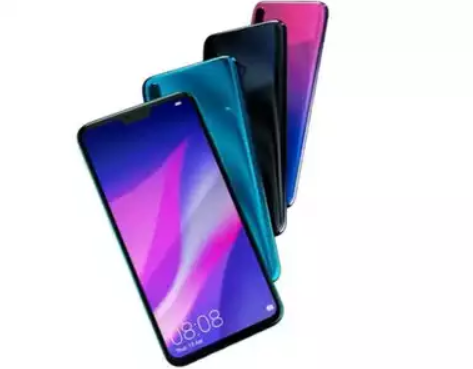 This phone, which comes in option in Black, Blue, and Aurora Purple Color, has recently been launched in Vietnam. If India does this, then by the end of this month, the Huawei Y9 2019 can be launched in India. This feature features a 6.5-inch full HD display with 1080x2340 pixel resolution. On the phone, you will find the DuDrop Notch Screen and its aspect ratio is 19: 5: 9. There is a Corning Gorilla Glass in it for screen protection. The phone that comes with the Android 8.1 Aero operating system OS has been given the Octa-Core Kirin 710 processor. Huawei V9 2019 will be launched with 4 GB RAM + 64GB internal storage and 6 GB RAM +128 GB internal storage variant. If desired, users can increase the phone's memory to 400 GB with the help of MicroSD card. For photography, 16 megapixels + 2-megapixel dual rear camera setup with LED flash is provided in the rear of the phone. If you talk about Selfie, here also the company is offering 13 megapixels + 2-megapixel dual camera with AI feature. To give power to the phone, there is a great 4,000 mAh battery, which is equipped with Fast Charging feature.